« Daily Feline Prompt: Pink Cats? 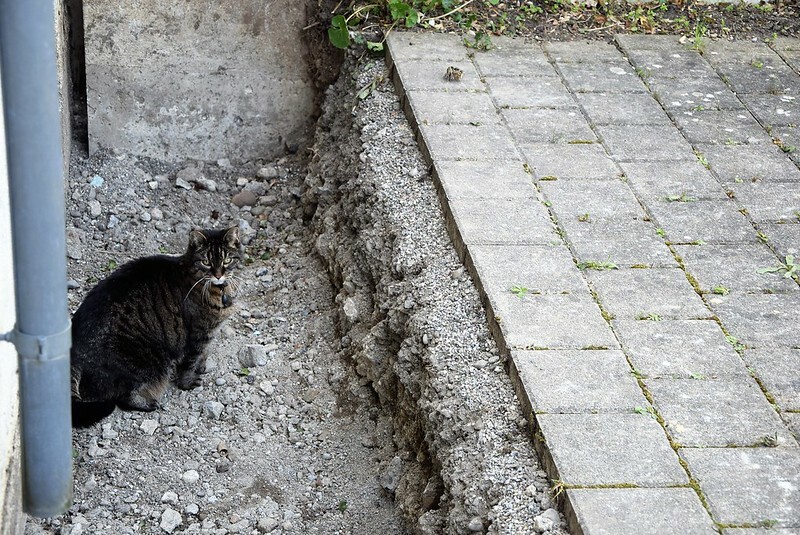 It’s a giant ditch, but I can do it, although I would prefer Mrs Human to carry me over, but she is not so co-operative in that way. They did not dig the ditch for me, because I did not want it. They did not even ask for any suggestions from me or plans. I was ignored, it just appeared one day. However I noticed the walls of the ditch are quite interesting, and I might spend some time wall watching. Thanks for the offer to carry me over, don’t get me wrong, but dogs are OK at a distance. Just think, Tabby, the humans have given you something interesting to break the boredom. I am never bored, it is the humans that seem to be bored as they are continuously unsatisfied and altering things. Things are not to be altered especially in my territory without my permission.